At St Brigid’s College parents automatically become members of the Parent Forum. The Parent Forum provides opportunities for parents to support and enjoy the College through involvement in a wide range of activities. The Parent Forum also organises events for the wider College community. Underpinning the Parent Forum are Parent Class Representatives, who work closely with the teachers of their particular year groups and assist in communicating with Parents when necessary. Joining in the varied activities of the Parent Forum enhances the learning experience for both students and parents by providing opportunities for parents to participate in the community life of the College. All Parents / Guardians are welcome to attend and meetings are held in the College Staffroom. Drinks will be available from 6.00pm. Members of the Parent Forum Committee will be on hand to chat with parents and guardians who wish to ask questions or find out more before the meeting commences. Each year the Parent Forum is given a sum of money by way of Parent contributions as part of their children’s school fees. In addition to this, the PF hold various fund raising events during the year. These funds are used to help support our Children at the College and it is expected that the funds allocated each year are spent in that year, so the Students of the Families that contributed, get the benefit of those funds. The funds are there … so we want to make sure they are spent each year. The PF Grant can be for anything that helps support our Children, the School or engages the wider Community. It is designed to help meet those needs that are not funded by the College directly. 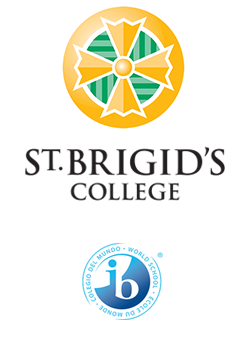 Applications are welcome from parents, students, teachers and members of the wider community. There is no specific limit to any Grant Application. That said, please be aware, there is a finite amount of funds that can be spent each year, so the PF will assess each application on a “first come first served” basis, along with the merits of each application. Complete the Parent Forum Grant Application Form and forward to the PF Secretary (Peta Kennedy, PF.Secretary@stbrigids.wa.edu.au). Refer to the 2nd Page of the Parent Forum Grant Application Form, this details the process to be followed. If you have any questions, please refer to the PF Secretary (Peta Kennedy, PF.Secretary@stbrigids.wa.edu.au). 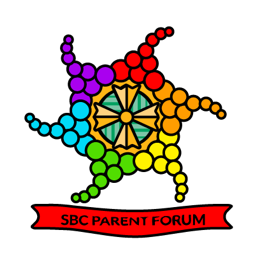 Special well done to Talia Gee ( 5 Gold ) who was selected as the overall winner – Talia’s entry is now the logo for the SBC Parent Forum. Congratulations Talia a great design … well done!